I'm thinking about running a .99 Cent special for the 4th of July weekend for "THE BRIDGE" on Amazon. So if anyone who's been thinking about getting a Kindle copy this will be your chance to get it pretty cheap. And if you already have a copy and fell in love with the story and the characters, please let others know they'll have a great opportunity to get their own copy at a great low price. Thx. I'm supplying the link below for people who want to take a sneak peak inside the bood. The sale will start on the 4th of July. So stay tuned. A lone word carved on a pillar of a fort that had once housed a colony of 90 people from 1587 until 1588 or '89 perhaps? Who can say, because in 1590, there was no trace of the colonists who had made the isle of Roanoake their new home. No sign of a struggle or battle could be found, and the local native Americans on the island proclaimed no white men had ever settled there. 4.0 out of 5 starsGood job, Rookie, June 19, 2013 By Quill93 - See all my reviews This review is from: The Bridge (Para-Earth Series) (Kindle Edition) Kudos go to Allan Krummenacker for his first novel "The Bridge." The storyline is an intriguing balance of wit and suspense, with a cadence that flows nicely, making it an easy read. There is never a dull moment as Krummenacker keeps the reader wanting to know more about each event that takes place. I would like to see more descriptive language used in future works by this author, but overall I look forward to following his career and seeing how his craft develops. The final tally is in and 365 people took advantage of the chance to get the Kindle version of my paranormal/mystery novel "THE BRIDGE" for free. Hey, a reader for every day of the year... chuckle. I've never done a free-book promo on Amazon before, so anyone with experience please let me know if this is a good number. I think so, but I like to hear other people's thoughts. Now I'm sure one of the big questions on the minds of some of you is, "Why did you give your book away for free? Don't you want to make some money?" Up to this moment 247 people have already claimed their copy of my paranormal/mystery. You have until midnight tonight (Pacific Standard Time) to get your free copy. And if you've already gotten yours, spread the word and so your family, friends and networks can get their copy. Psychics, cops, ghosts and a terrifying secret hidden away inside a three hundred year old bridge await you in this book. Come and learn how the Para-Earth series begins in this first installment. You'll be glad you did. Just in time for Father's Day! 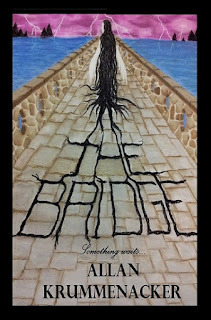 The KINDLE version of my paranormal/mystery "THE BRIDGE" will be available for FREE on Amazon this weekend. Starting tomorrow 6/15 and ending at midnight on 6/16 you can get a free copy! So if you're still looking for something for Dad, or a little something for yourself, here's your chance to grab book #1 in the Para-Earth Series. Ghosts, psychics, police, and a three hundred year old stone bridge which holds a terrifying secret awaits you within the pages of this book which has received 4 and 5 star reviews. So bookmark the link below and get your free copy during this weekend special. And spread the word to everyone you know about it. This book has captured the imaginations of customers who have said flat out that they normally don't read this genre, but are eager for the next installment which will be coming in September. Mr. Ray Bradbury died on June 5, 2012. It's been a year since he left us with a legacy of books and stories, some of which have been made into movies and TV episodes (check out Ray Bradbury Theater on Amazon or YouTube). 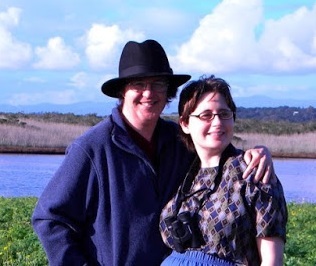 In this blog entry I'm not going to recap his life story. Mostly I'm going to share my own thoughts and feelings on the man from what I saw of him in his works. Okay I haven't said anything about "The Ship" lately so I thought I'd bring you all up to date on what's happening on that front. The news is that there's been a lot of writing and rewriting of scenes as I try to get the first draft done. I find writing the 2nd book more slow at times, but the quality of what I'm creating is better overall. Because I know some of what to watch out for. Are the characters behaving like themselves? Am I making the motivations for their actions clear? Is this believable? Are things easy to follow and not confusing for the reader? Am I doing a good job introducing and re-introducing the main characters for both previous readers and those who are new to the series?